Academic and Practical Experience: Dr. Alpert holds a Bachelor’s degree from MIT and Master’s and Ph.D. degrees from Stanford University with extensive product design and development experience as the chief architect for Intel’s first Pentium® Processor. Real Trial Experience: worked for both plaintiffs and defense, and handled both infringement and invalidity issues. Significant trial and extensive deposition experience. Strategic and Tactical: Able not only to intuitively understand the strategy in patent litigation cases, but also very good at helping identify tactics for the case. Gifted at analyzing holes in both parties arguments and synthesizing them into useful information. 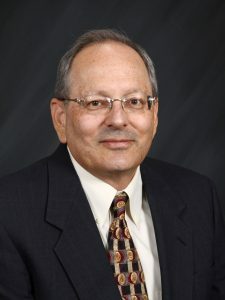 Among the Top Experts: One of the most experienced and accomplished experts in the world in the field of computer systems and microelectronics as related to patent litigation. Objective, Professional, and Easy to Work With: A stick to the facts, objective style. Easy to work with, responsive to feedback, honest, insightful, and a great researcher. Flexible without sacrificing the integrity of his research or opinions. Responsive: a consummate professional, experienced at handling tasks under deadline. Trustworthy: has a track record of handling cases in confidence. Report writing: skilled and experienced in effective report and supporting document creation. Many of his cases settled pre-trial based in large part on the effectiveness of his report writing.